The auto show isn’t the only place you’ll find the latest Toyota cars, trucks, SUVs, crossovers, and hybrids. 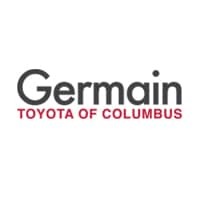 Germain Toyota of Columbus is your destination for the most current vehicles in the Toyota lineup. If you’ve been craving the latest tech, safety, styling, or efficiency — there’s never been a better time to get behind the wheel of a new Toyota thanks to our auto show offers. Whether you’re interested in a new Corolla, Camry, Yaris, C-HR, RAV4, Highlander, Tacoma, Tundra, Sienna, or Prius — our auto show specials and incentives make it simple to find the Toyota model that both your heart and budget can agree on. Browse our auto show deals and save big on a new Toyota vehicle at Germain Toyota of Columbus.